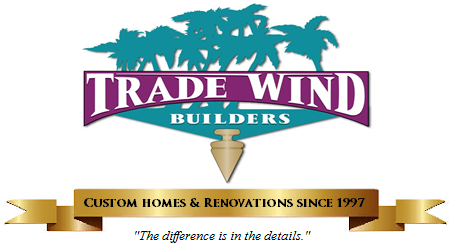 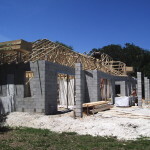 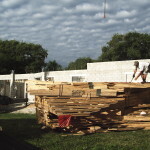 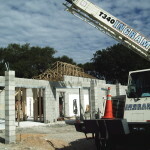 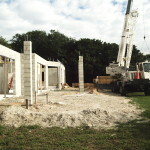 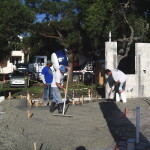 The construction process is underway at this river front home on Newfound Harbor Drive in Merritt Island, FL. 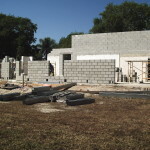 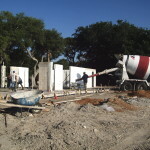 The slab is poured and the concrete block walls are up. 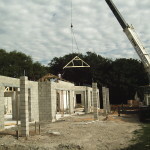 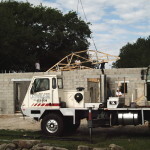 Today, the Trade Wind team finished putting up the roof trusses. 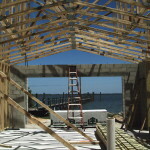 This home has vaulted ceilings in the great room and dining room with a gorgeous view out to the river.